Island Club Taxis has been serving the Lake Erie transportation needs of Put-in-Bay for over 10 Years. We service the Island Club Home Rentals, Jet Express, Miller Ferry, and the entire South Bass Island 24x7 with comfortable late model taxi vans and fun, friendly, courteous drivers. Just $3 per person to go anywhere on Put-in-Bay. Book a Put-in-Bay Rental Home Today! They say you can wave stress away by keeping it simple. 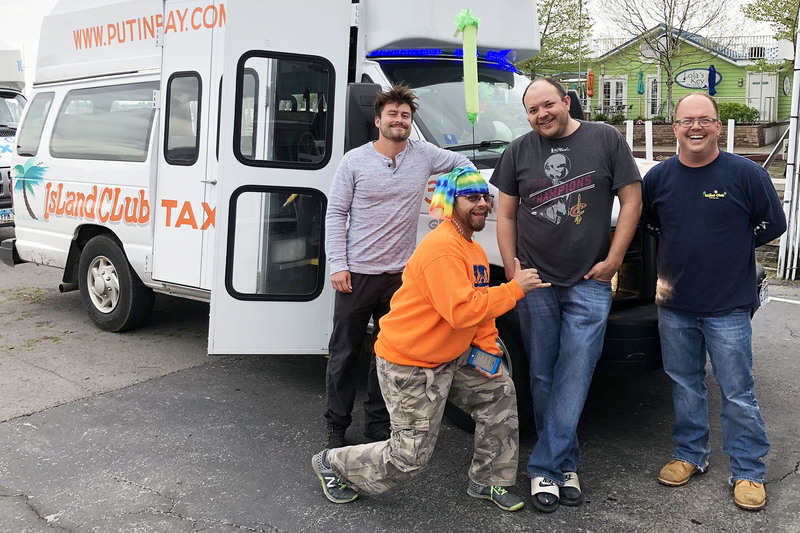 Put-in-Bay Island Club Taxi can help! Travel can be pretty stressful, so make sure you choose your taxi service well. With Island Club Taxi's stellar taxi service, you can have a smooth, relaxing and worry-free journey anywhere on the island. You'll receieve one-on-one attention whether you have one passenger or an entire group of 12. We guarantee a timely and safe arrival no matter where your destination in downtown Put-in-Bay Ohio and beyond. Consider our selection of clean, modern Put-in-Bay Taxis for a comfortable trip. A highly skilled driver will help carry your luggage onto the taxi and relieve the burden from you. Island Club Taxi gives the promise that you'll get where you need to go on time and completely relaxed. Is there really another choice? Keep it simple, and stick with us... travel happy with Put-in-Bay's Island Club Taxi. Copyright © 2010-2018 :: IslandClub.com, 177 Sandcastle Road, Put-in-Bay, OH 43456, 419-285-5466, All Rights Reserved.